Beer pong is a simple yet awesome drinking game! Play this classic American game at home with your friends or family. Many say that beer pong isn't just a party game, but it is a way of life. If you've ever played beer pong then you'll know there's something magical about the combination of a competitive game and getting pretty merry, and we wanted to create something that would allow you to bring this magic to every party in a quick and easy way. This is where our American Style 22 Cup Beer Bong set comes in handy. 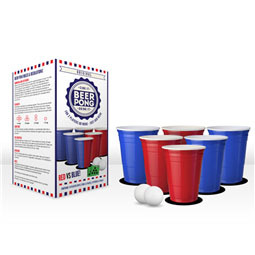 We've put together a simple but effective beer pong set which contains everything you need to get cracking with a good ol' game of beer pong. There are 22 red solo cups - 11 for each team and some ping pong balls. Just add beer and let the games begin! 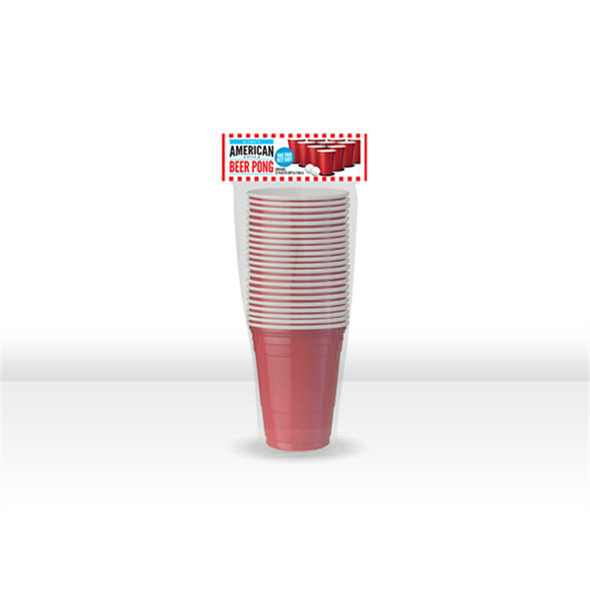 Our red beer pong set is an absolute party must have - what spells party more than an epic game of beer pong, eh? So grab your red solo cups and your ping pong balls and get ready for a battle to the drunk!